Photo: Early morning on Gili Layar. The latest of the "secret gilis" to begin to see some development, Gili Layar lies just to the west of the considerably more developed Gili Gede and to the east of Gili Asahan, but offers far superior off-the-beach snorkelling and a decidedly laid back beachside vibe. We liked it here. A lot. There’s just the one place to stay here, the rather unimaginatively named "Gili Layar Bungalows" and the main pastimes are eating, drinking, snorkelling and sleeping. The bungalows catch the full brunt of the rising sun over Gunung Rinjani so you’ll most likely be rising fairly early, but there is enough shade out front to watch another day get underway. Daytripppers, both local Indonesians and foreigners staying on other nearby islands visit Gili Layar during the day to snorkel the house reef and laze around on the beach, but as this is the hottest time of the day, we suggest escaping the "crowds" with a siesta. Save the occasional fisherman, you’ll have the beach largely to yourself before 10am and after 4pm. The house reef sits directly offshore with a medium strength current running left the right, meaning once you’ve swam the short distance out to the reef and drop-off, there is really very little swimming required as the current will have you drifting at a comfortable pace with no effort. 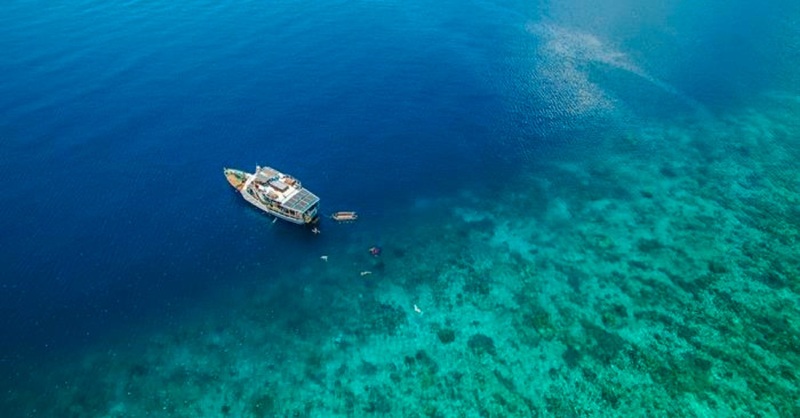 Considering the amount of day trippers, the reef is in decent condition and now that the bungalows are operating, they hope to stop all boats from motoring directly over the reef. Turtles apparently can be seen in the morning and late afternoon, but we lucked out. Out of the water, at low tide it is a straightforward walk around the island and there is a small hill (home to the final resting place of the first inhabitant of the island we were told) where you can enjoy a sunset view. Once the sun has sunk, walk 50 metres away from the bungalows and flop down onto the sand to enjoy a starry scape from horizon to horizon while the waters lap softly onto the sand. Other activities include snorkelling trips to other islands and SUP hire can be arranged through Gili Layar Bungalows. Gili Layar is reached from Tembowong boat landing (the same access point for Gili Gede), the boat trip takes roughy 30 minutes and costs 150,000 rupiah to charter the boat (one way). There is a patchy EDGE connection on Gili Layar and Gili Layar Bungalows offers WiFi which works haphazardly. Last updated on 18th July, 2016. 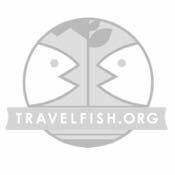 Browse our independent reviews of places to stay in and around Gili Layar. Planning on riding a scooter in Gili Layar? Please read this.  Use the above map to find specific destinations in and around Gili Layar which are listed on Travelfish. Bed icons indicate a guesthouse, hostel or hotel, the knife and fork is an eatery or bar and the four-way circular thingy marks sights, attractions and other points of interest. Click on any icon for a short pop-up and a direct link to the page for that spot. If you are in the area, use the teardrop icon near the top left to show your position on the map (you'll need to allow position sharing for this last feature to work).